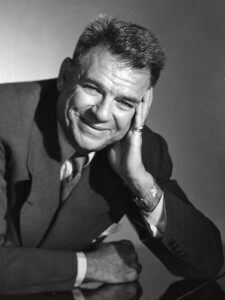 Singers, songwriters, lyricists and composers all have something to learn from one of the great lyricists, Oscar Hammerstein II (1895-1960). He collaborated on a huge number of well known musicals, winning 8 Tony Wards and 2 Oscars along the way. Some of his collaborators were Jerome Kern, (Showboat) Vincent Youmans, Rudolf Friml, Richard A. Whiting and Sigmund Romberg, and Richard Rodgers (Oklahoma, The King and I, South Pacific, Carousel, State Fair, Sound of Music). In 1949, he wrote a wonderful essay, now considered a classic, called ‘Notes on Lyrics’ (which can be found in Lyrics by Oscar Hammerstein II edited by his son William Hammerstein in 2002, pp. 3-48). Having read the essay and made my own notes on it, I reordered them into categories to help understand Hammerstein’s way of thinking about his craft. Here is the result.